Although this definition fits a large number of items that can be construed to be a “medical device,” it provides a clear distinction between a medical device and other FDA regulated products such as drugs. Medical devices range from simple tongue depressors and bedpans to articles used for drug administration to complex programmable pacemakers with micro-chip technology and laser surgical devices. In addition, medical devices include in vitro diagnostic products, such as general-purpose lab equipment, reagents, and test kits. In fact, the FDA has established classifications for approximately 1,700 different generic types of devices and grouped them into 16 medical specialty panels. Despite their great diversity in form and function, one performance characteristic is shared by all medical devices: medical devices should be designed and manufactured in such a way that they will not compromise the safety of patients or users when they are used under the conditions and for the purposes intended. Although this objective is clear, the means for actually establishing the safety of medical devices is ambiguous and incompletely addressed in regulatory guidelines. To address this circumstance, the International Organization for Standardization (ISO) created a series of international standards, under the ISO 10993 umbrella, which together establish the means for biologically evaluating medical devices. Specifically, the primary aim of the ISO 10993 series of standards is the protection of humans from potential biological risks arising from the use of medical devices. The ISO 10993 series is intended to guide the biological evaluation of medical devices within a risk management process, as part of the device’s overall evaluation and development. This approach combines the review and evaluation of existing data from all sources with the selection and application of additional tests, thus enabling a full evaluation to be made of the biological responses to each medical device, relevant to its safety in use. Consistent with its title, Biological Evaluation of Medical Devices, ISO 10993 defines relevant in vitro and in vivo biological tests that are to be applied to medical devices according to the device’s classification (as established Part 1). Additional parts of ISO 10993 provide detailed instructions for performing individual tests and specifications for judging the acceptability of the test results. Although its title suggests otherwise, chemical testing has a key role in the ISO 10993 evaluation process. 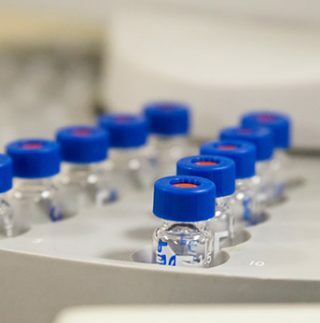 As noted in section 4.3 of part 1, “Identification of material chemical constituents and consideration of chemical characterization (see ISO 10993-18) shall precede any biological testing.” Moreover, a greater emphasis is being placed on chemical assessment as a means of augmenting and even replacing certain biological tests, addressing the various technical and practical issues associated with biological testing. the use of leachables profiling to establish the device’s actual interaction with a patient or user (what actually is transferred to the patient during use). Although Part 18 provides a framework for chemical assessment and contains useful information for performing the chemical testing that is the basis of the chemical assessment, Part 18 is neither a prescriptive cookbook nor a procedure specification that provides exact instructions for every step required in performing the necessary tests. Thus, for example, while Part 18 specifies the need to perform extractables testing and provides general advice on aspects to consider when designing and implementing an extraction study, it does not contain a standard extraction protocol. The experimental means of performing the various required chemical tests must still be established and justified by the medical device’s sponsor on a case-by-case basis. Despite the general guidance provided by ISO 10993 Part 18, designing, implementing, reporting, and interpreting the right chemical assessment for a particular medical device is neither an intuitive nor trivial matter. The practical consequences of a poor chemical assessment are significant, measured in lost time, excessive costs, and delays in securing regulatory approvals. Nelson Labs Europe, with its vast and successful experience in developing, implementing, interpreting, and reporting chemical assessments, including extractables and leachables studies for medical devices and pharmaceutical products, can devise, execute, and report a customized approach, expertly tailored to address the safety issues specific for a particular medical device while addressing a particular client’s scientific and practical realities. To find out more about our Medical Device Extractables & Leachables testing services and programs, please feel free to contact us at infoEurope@nelsonlabs.com or call us at +32 (0)16 400.484.